Simple, clear hardwood dreidel with beautifully designed symbols. Great for classroom or home use. T.. 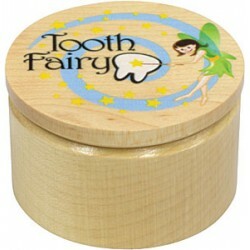 The Peace box is 2 1/4" diameter by 1 3/8" high wooden box to keep all those precious treasures that.. The Pirate Skull Treasure box is 2 1/4" diameter by 1 3/8" high wooden box to keep all those preciou..
Be silly with our Silly Sticks. The Angry Eyes Glasses are 11" long and 5 1/4" wide. Angry eyes on o..
Be silly with our Silly Sticks. A Barber Shop Mustache in black on one side and brown on the other. ..
Be silly with our Silly Sticks. The Bat and Mardi Gras Mask has a black bat on one side and a party ..
Be silly with our Silly Sticks. The Bloodshot Eyes Glasses are 11" long and 5 1/4" wide. Bloodshot e..
Be silly with our Silly Sticks Braces Smile on one side and Goofy Teeth on the other. The mouth sill..
Be silly with our Silly Sticks. A Broom Mustache is black on one side and brown on the other. The mu..
Be silly with our Silly Sticks. The Cat and Fish Mask has a yellow kitty on one side and a snorkling..
Be silly with our Silly Sticks. The clown mask has a bright red nose! This mask is only one sided. T..
Be silly with our Silly Sticks. The Fu Manchu Mustache in black on one side and brown on the other. ..
Be silly with our Silly Sticks. Great for a birthday party favor or pretend play. The green wand mea..
Be silly with our Silly Sticks. The Handlebar Mustache in black on one side and brown on the other. ..
Be silly with our Silly Sticks. Our waving Jolly Roger flag measures about 11 1/2" long, 1/4" thick ..